Il mimetico, già da qualche anno, si sta facendo notare tra le passerelle di tutto il mondo ma soprattutto nelle strade. 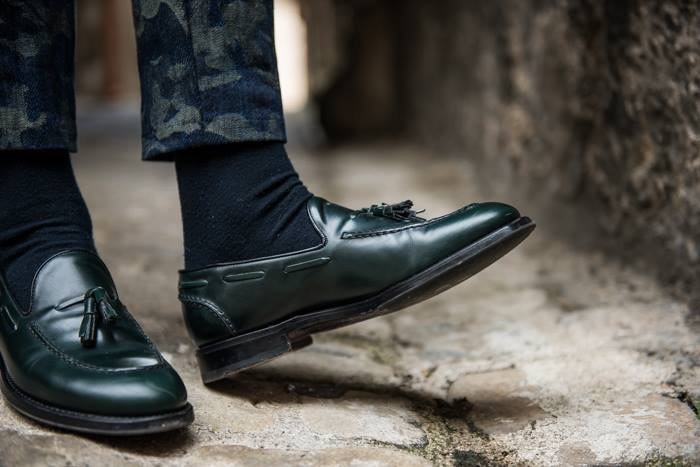 Il pantalone chino che indosso oggi firmato Berwich , è sicuramente la prova di quanto questo “print” possa essere trasversale. 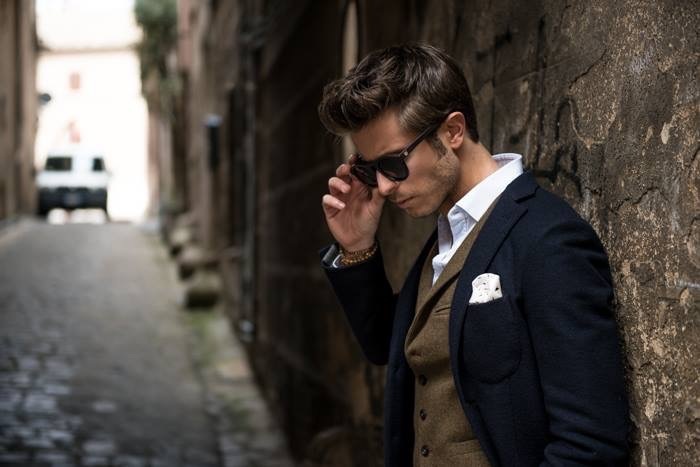 Il gilet in tweed, la giacca in lana blu e le loafer verdi rendono l’abbinamento elegante, seppur senza cravatta. 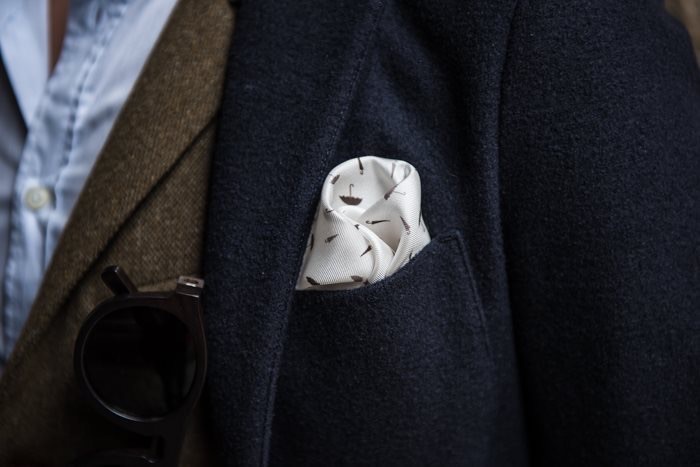 Il tutto è arricchito dagli occhiali in legno Iwoodoo e dalla pochette di Pret a Pochette . It is a couple of years that the camo pattern is imposing itself on the runways all around the world but especially in the streets. The chino pants I’m wearing today by Berwich are surely the proof of how this “pattern” can be multifunctional. 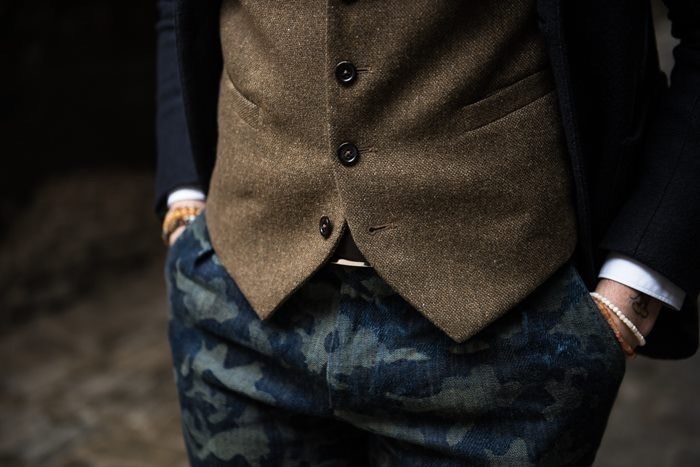 The tweed vest, the blue and green wool jacket and the loafers make the outfit elegant, even without a tie. 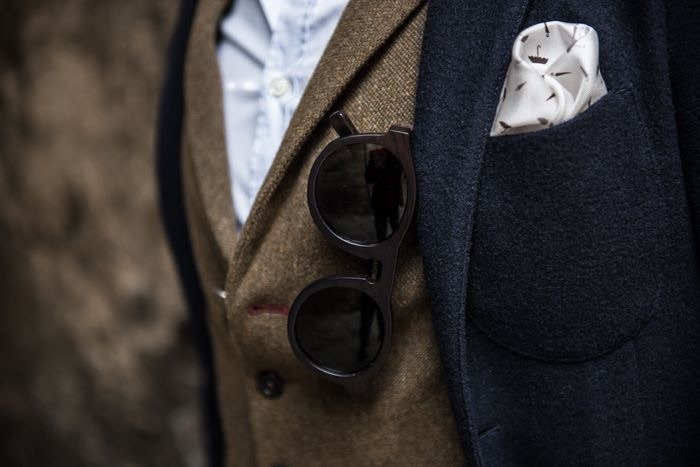 Everything is complemented by the wooden glasses by Iwoodoo and the pocket square by Pret a Pochette.